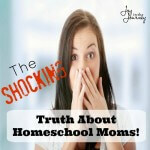 Want to know the truth about Christian homeschooling? It’s not what some believe. We aren’t out to brainwash our children, and know we aren’t trying to abuse them and shelter them from the world. The truth may surprise you. Earlier this week I was invited on to the Colin McEnroe show to discuss Christianity and Homeschooling. You can hear this show here. They had come across my blog post titled, Why All Christian Families Should Consider Homeschooling. I was super excited to talk about it with them and was a little disappointed when my segment was cut from 20 minutes to 6. Also, the comments on the show were less than nice as the guest before me seriously bashed most of us Christian homeschoolers. So, I wanted to address some of these issues and concerns. 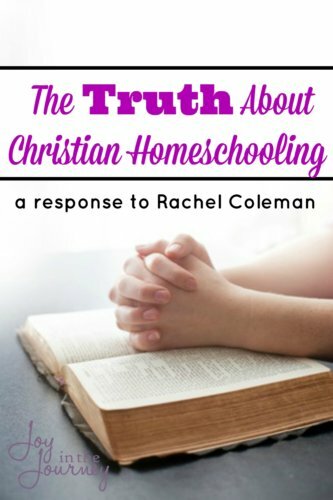 I wanted to share the TRUTH about Christian homeschooling. The guest prior to me talking was Rachel Coleman from the Coalition for Responsible Homeschooling. She has very strong beliefs and gave numerous examples of parents who had homeschooled being charged with abusing their kids. Now, let me just say abuse is NEVER okay and I’m not justifying it in any way. However, I think what Rachel tends to forget is that just as many children are abused IN the public school system and in many, if not all of the cases she referenced the families started out IN the public school system and once abuse was found they pulled their children out. The abuse had NOTHING to do with homeschooling. Also, she doesn’t reference the numerous cases of abuse in the public school system. A 2004 report made to the U.S. Department of Education said an estimated 9.6 percent of students – nearly one in 10 – are subjected to sexual misconduct by teachers, coaches, principals, bus drivers and other personnel during their K-12 career. So, while I think the abuse that Rachel discusses is appalling, I also think the stats I just said are as well. Why aren’t we discussing THAT instead of trying to slam more regulation on homeschoolers? Why are you lumping us all together as religious fanatics who keep their kids shackled up in the bedroom, never allowing them to interact with the world around them? Another thing that I was supposed to discuss is the findings on Christians and Homeschooling. Why do we homeschool? What result does it have on our children’s faith? Homeschooling has proven to be linked to producing stronger Christian beliefs and behaviors for home learners when they become adults. according to a new online survey conduct by the National Home Education Research Institute (NHERI). The more years of homeschooling is linked to making more moral decisions as grown-ups. 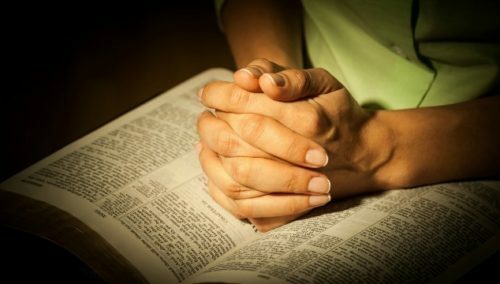 The study interviewed adults older than 17 and younger than 39 years of age and asked them a number of questions to determine the main sources of their faith — or their falling away. 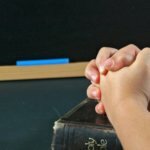 The more time people spent in public schools the more likely they were to have no Christian faith or behavior as adults. More public school was also tied to decreased levels of satisfaction with one’s life and an increased likelihood to develop beliefs that oppose those held by their parents. These are just a few of the many reasons that Christians SHOULD consider homeschooling. Our faith is important and is not something to take for granted when it comes to our children keeping that faith. Do Christians Homeschool to Indoctrinate or Shelter our Kids? One common belief that many who are pushing homeschool regulation, or who think we are religious fanatics believe, is that Christians homeschool to indoctrinate and shelter our kids. While that may be true in some cases, the majority of us simply homeschool because we believe it is what God has called us to do. Many continue homeschooling because of the overwhelming benefits and fruit we see from homeschooling. I began homeschooling because of my faith, but that is not the only reason why I continue. I have found that homeschooling is the BEST option for our kids. You can choose a curriculum based on your child’s learning style. Your child gets a one on one education that can’t be matched in a public school. Flexibility is top notch and the absolute BEST. You can school year round, take breaks when you need to, start at noon. No one is telling you when you have to start school. Homeschooling is an amazing educational choice, not just for Christian families but for ANY family. I wish that the listeners on Colin’s show would have been able to hear more about WHY homeschooling works and not just about the fanatics out there who give homeschooling a bad name. Another common stereotype that Colin asked me is if I as a Christian homeschooler keep my kids from opposing beliefs, be sure to listen to the broadcast to hear my answer to that. It is one of the only ones I was actually ABLE to answer 🙂 I come on at the VERY end like 42 minutes in I think. So, sound off HERE! Did you listen to Colin’s show? What did you think? Did his guests have the right idea on Christianity and Homeschooling? Oh, Misty, I’ve come across the Coalition for Responsible Homeschooling many times. It amazes me that they have this vendetta against homeschooling, yet ignore all of the horrible things that go on in schools across the country- teachers having inappropriate relationships with their students, bullying, assaults, students assaulting teachers, the list could go on and on. Your statistics really said it all. I honestly believe these people want nothing more than to be sure that all kids are kept in the public education system so that they can be indoctrinated- yes indoctrinated. Thank you Shelly! I had never heard of them before, and this experience sure did open my eyes! He was afraid that Christian homeschoolers were trying to indoctrinate their kids, but what about the indoctrination that goes on in the school systems?!? Indoctrination means the process of teaching a person or group to accept a set of beliefs uncritically. I don’t believe schools appreciate it when the students question what they’re being taught. According to them, evolution is a fact rather than a theory and global warming is settled science rather than having many scientists who don’t agree. They present information and test kids on it forcing them to parrot back their viewpoints rather than showing them both sides of issues and letting them develop critical thinking skills as they come to their own conclusions. Yes, that is so true, Michelle. Scientism (not science- two different things) is the religion of the schools and kids are being indoctrinated there every single day. Yes!! They accuse us of indoctrination, yet they don’t teach opposing viewpoints in the public school system?! 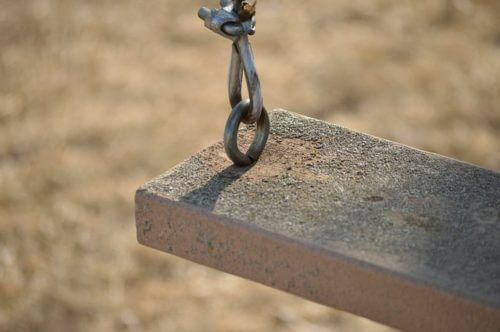 It blows my mind…. Awe, thank you so much! Prayers for you and your family! I have no idea who that person is! As a homeschooled kid from the 90’s (before the internet and social media) I was considered an oddity and was interviewed a couple of times. I was first surprised when my words were edited, and thought I would choose my words more carefully next time. The next time: my words and phrases were edited (completely different journalist and paper) and twisted to the point where I didn’t even recognize my own words. I learned to take any “sensational” quote or sound bites with a heavy grain of salt. Sorry they cut your interview off, I would think that’s frustrating! And trolls are the worst. Oh, that would be so frustrating! Thanks for sharing your experience. I am overall okay with the interview. I mean if nothing else it got people talking right?